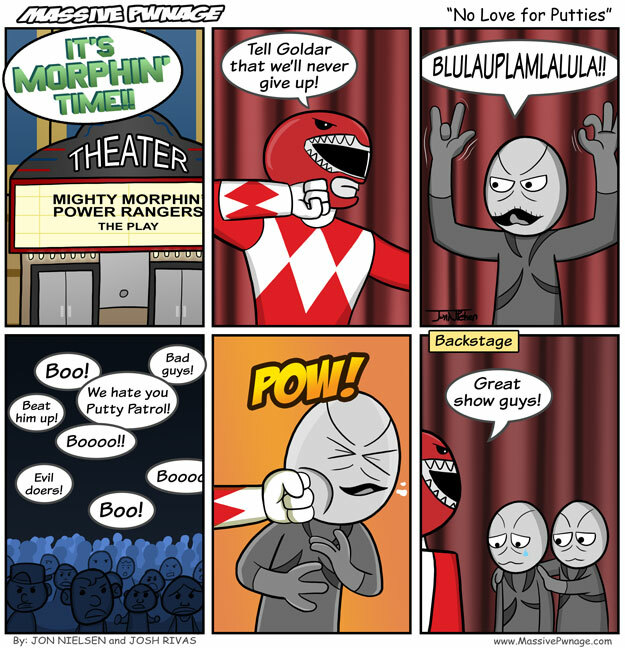 Poor Putty Patrol. All they do is make funny sounds and get beat up. No one likes them. This comic has a huge file size. I turned down the quality of the jpeg a bunch, but it’s still about 125KB. I try to keep it around 100 or below. You know, so the page loads faster. This entry was posted on Monday, August 11th, 2008 at 12:00 am and is filed under Comics. You can follow any responses to this entry through the RSS 2.0 feed. Both comments and pings are currently closed.